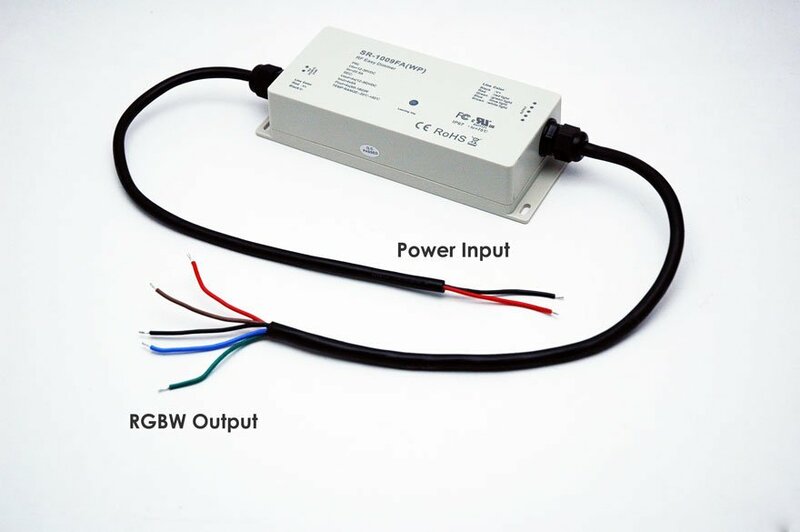 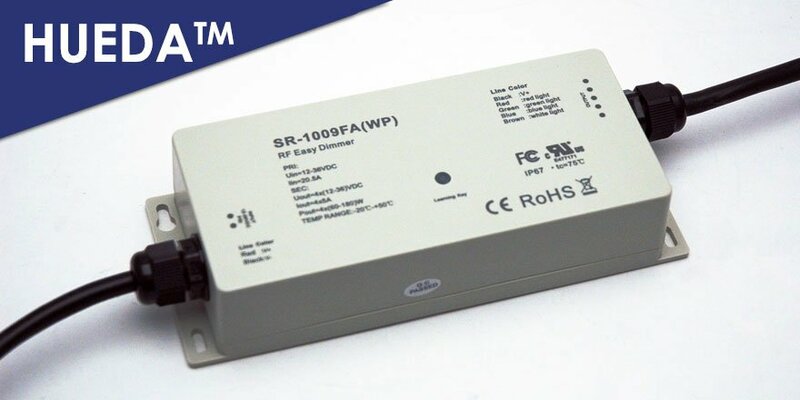 The HUEDA™ RF outdoor Color Receiver H-R009FA(W) is a 12~24VDC constant voltage water-resistant RF color receiver with 4 channel (RGBW LED) and 5 Amps per channel output, that is compatible with the HUEDA™ series Controllers (see chart below) to control RGB/RGBW LEDs light Strips. Multiple zones can be controlled with multiple receivers in each zone. 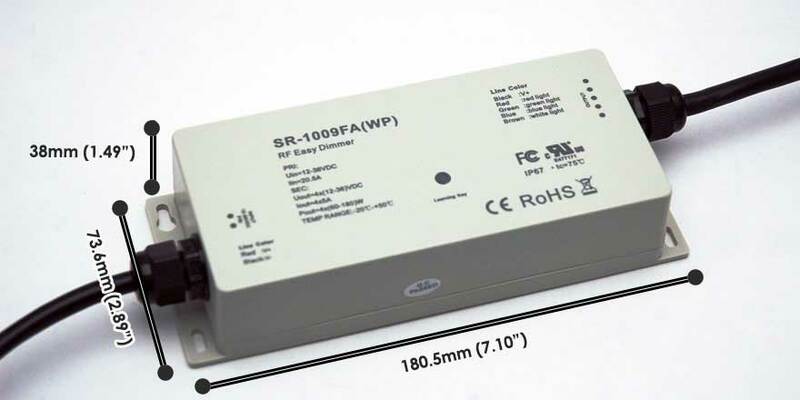 The RF controller can be a pair to the HUEDA™ Hub, HUEDA™ Hand remote or the HUEDA™ wall mountable controller. Ideal for outdoor color control of RGB and RGBW LEDs strips.